In the market for roofing systems EPDM is playing an ever more decisive role. Not surprisingly EPDM membranes have been globally being used since the late 60's and recognized as one of the most reliable products that can be chosen. There is a big difference between the suppliers and their related products, adhesives and accessories. Therefore it is for us important to provide detailed installation guidelines. In the installation guidelines we treat the dos and don’t s of our roofing systems extensively. We would like to convince you of our knowledge and added value, in order to build a lasting relationship. If there are any questions please do not hesitate to contact with us. 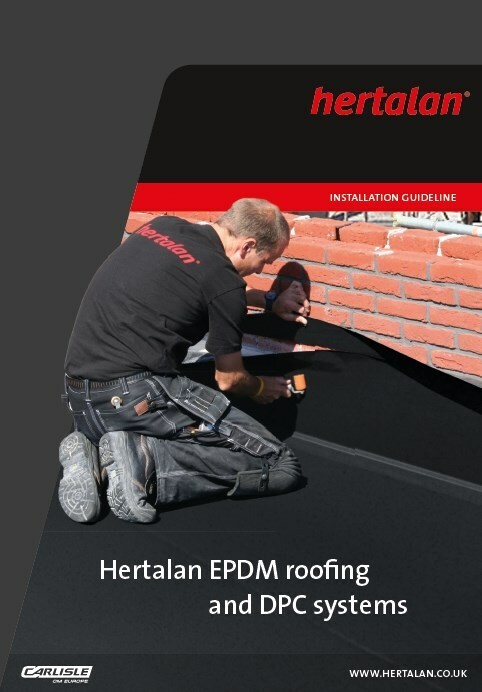 Download here the Hertalan EPDM installation guidelines. 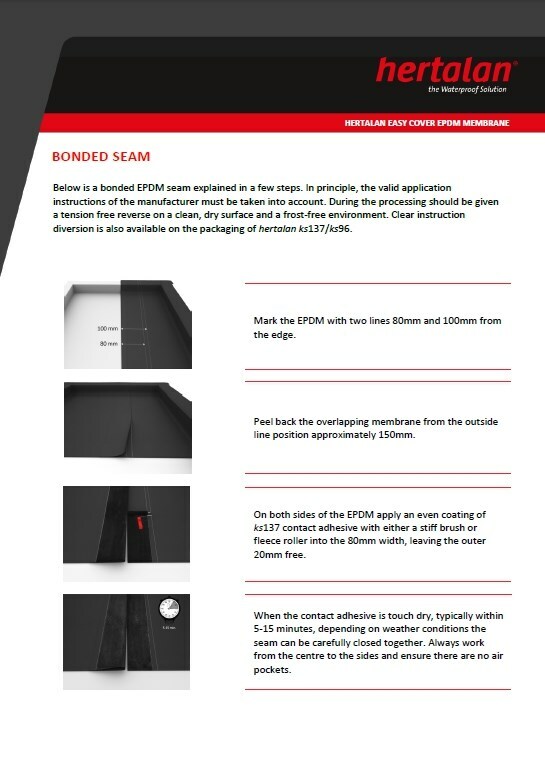 In this document a bonded EPDM seam is explained in a few steps. In principle, the valid application instructions of Carlisle® Construction Materials Ltd. | HERTALAN® must be taken into account. 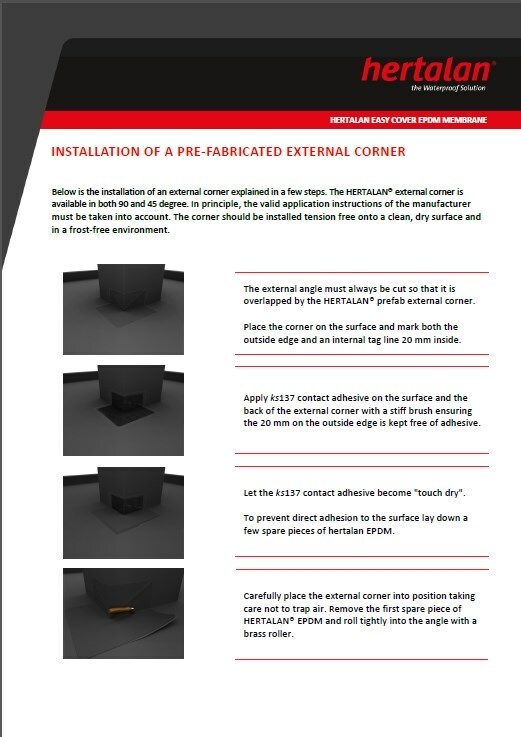 In this document a folded internal corner is explained in a few steps. 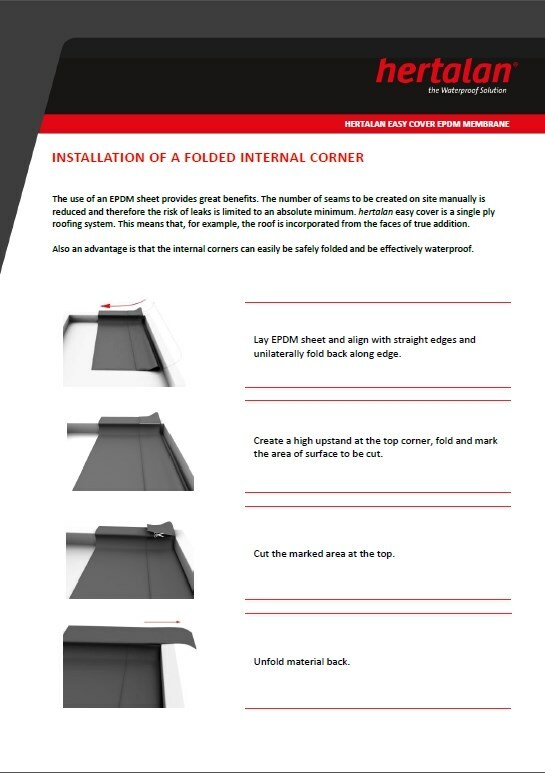 In this document the installation of an external corner is explained in a few steps. 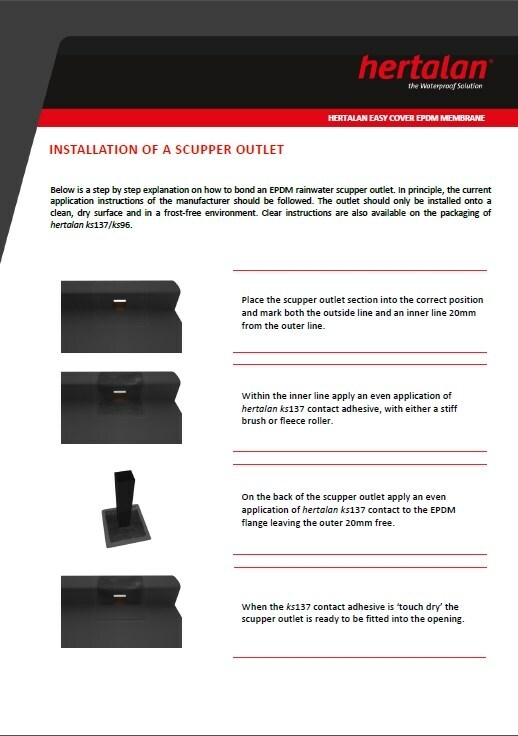 In this document the installation of a scupper outlet is explained in a few steps.